According to a report by Asahi Shumbun, Carlos Ghosn could be arrested in Japan after the Nissan chairman was questioned over suspected under-reporting of his corporate salary by several hundreds of millions of yen. The (suspected) crime is a violation of Japan’s Financial Instruments and Exchange Law, and the authorities have already begun searching the offices of Nissan’s headquarters and other locations. Nissan has since issued a statement saying that it would promptly remove Ghosn from his positions as chairman and representative director at Nissan, with Nissan CEO Hiroto Saikawa set to propose the matter to Nissan’s board of directors. Also on the chopping block is Nissan representative director Greg Kelly, who was discovered to be “deeply involved” in reporting compensation amounts in the Tokyo Stock Exchange securities report that were less than the actual amount. 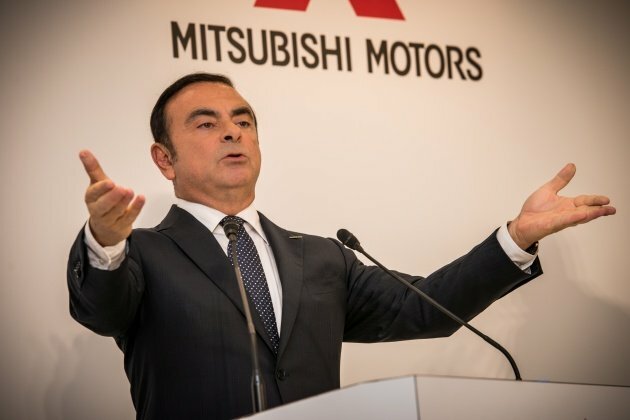 The Japanese carmaker said it had been conducting an internal investigation over the past several months regarding misconduct involving Ghosn and Kelly, with information being supplied to the Japanese Public Prosecutors Office. Ghosn, who relinquished his roles as Nissan president and CEO last year, is currently a chairman at the Japanese carmaker, as well as at Mitsubishi. He is also the chairman and CEO at Renault and the Renault-Nissan-Mitsubishi Alliance. The French national was largely credited for the turnaround of Nissan from near bankruptcy and his radical restructuring of Renault between the late 90s and early 2000s. Originating from the corporate world with a background in finance and economics, Gerard’s strong love for cars led him to take the plunge into the automotive media industry. It was only then did he realise that there are more things to a car than just horsepower count. Wow this is shocking news. Had the pleasure of a one-on-one interview with the man in my media days. He knew his stuff well and you cannot but credit the Nissan turnaround to him. It’s all money matters, bitter hard truth. If like this, all the past CEOs of Proton also need to be arrested and charged. It took Li Chunrong 6 months to identify that the kroni Proton vendors were overcharging Proton and giving Proton low quality parts. This was the main and ony cause of PRoton’s downfall into banruptcy. Charge the ex chairman too who is the current PM, ada berani?? Dont compare Nissan and Proton. Nissan got no pemalas working in it. Killing it’s Nissan biggest investor? Maybe Renault jv with PRC carmakers? Remember the time PRoton CEO told press conference than Iriz sales are so good and they could not keep up to orders that is 9 months long? Then few weeks later, Tun Mahathir come out later and say Iriz sales are so bad and the model is a flop. Yeah, there’s one previous P1 Boss who claimed the Waja was same level as BMW. He did the most damage which P1 have never recovered. He did more damage to MY as well, and now he returns to do more damage. luckily Nissan din buy Proton.. In Malaysia, many GLCs also got scandal and bailout. But got no prosecution. If follow the law, I think all GLCs will masuk jail by now. Somemore ours all multibillion ringgit bailouts. This is about Ghosn, nothing to do with GLCs here. Stop changing the topic like your leaders do so very often when caught with their pants down. Now what happen to those foreign CEOs that you were idolising? Cash is still king inescapable. Dishonesty and stealing need to stop. Japan is showing by example. Something Malaysia needs to learn about. Carlos inefficiency and laziness is the same laziness and inefficiency as our GLC. So what is the difference? You must be a Frog Under the Coconut shell. Its common practice for many companies to have a foreign CEO to run their companies. Do read business news. Japan on same path to clean nation. Arrest clamp down corruption and financial breach .. Meanwhile they got caught for outright lying & cheating on a much more serious scale with Takata. They aren’t so clean nor following the rules after all. Li Chunrong found out Proton vendors and suppliers have been cheating Proton left right and centre. Any form of cheating and corruption need to be checked. Japan and Malaysia have close ties. So we too must follow Japan style. Malaysia and Japan on the path to cleaning their corrupted. Good for Japan and Goof for Malaysia. The filthy rich can become filthy greedy.Carlos..omg…eating sushi in Japanese jail? Unthinkable but happens,like our Birkin handbag specialist and rogue bandits. ironic them all tax-free .Unthinkable . Aik. Werent u praising him to hi heaven? What happen to ur foreign CEO? Looks like locals r better. Lolz! There is nothing to be proud of for selling many unsafe cars to the masses. Instead he should be ashamed. At least when DSZ went to Proton, he spearheaded the drive towards safer cars. Japanese will make sure justice is seen to be done as they have integrity, moral fortitude and all will be done swiftly and correctly. What about justice for Mitsu after they got played out by their Nissan partner then Nissan buying them out for cheaps when their stocks tumble? Didn’t know the Japanese work culture that they strike below the belt too..heeeyah! sad news….he turned around Nissan contributed greatly..
Walao! Jepunis shud have learned from foreign CEOs but instead they threaten to jail them, now wonder they r on a downward spiral while China is going up rapidly. Tutup no problem. Better than going to jail. Lolz! No worries Mr Ghosn. Geely is in need of high achieving pipu and companies. Let them Jepunis rot and decay, since they ditched u after being “save”. 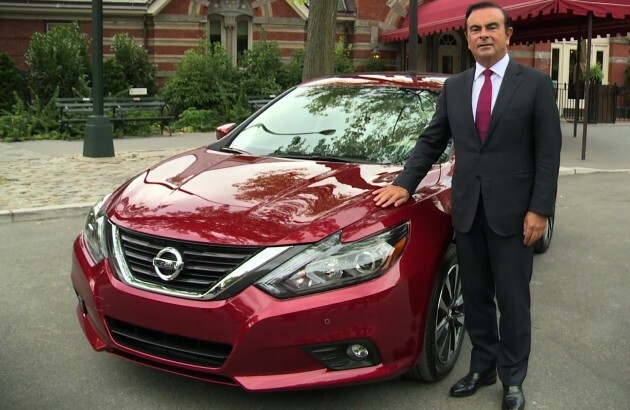 Ghosn & Nissan sudah divorce lor. Time for him to join the Empire. Been there. Sky’s the limit. I think the financial law breach is just an excuse to cover the actual offence which is designing awful car like Nissan Almera. omg.. this is super shocking! i admire him so much but this news comes as a big hit! This is not the way to treat a foreigner who saved one of your iconic brand. Foreigners earning salary in an ‘alien’ country. Even Cristiano Ronaldo was hit by the same issue before. Just think, does these super high ranking personnel do all the declaration process themselve? No need to go that far… does a person from an establish local company do their income declaration themselves? wow…april’s fool joke came early for him? Next gen GTR will be a sport hybrid car similar to honda cr-z, no more supercar performance. You dun know Tesla cars are supercar level? I believe this is the beginning signs of a break up in the Renault-Nissan-Mitsubishi alliance. Looks like Nissan will detach itself from the alliance and maybe take Mitsubishi with them. ….Like to compare this to a political party President. Like the saying goes ” Habis madu , sepah dibuang”. He saved Nissan from bankrupcy. Now Nissan is doing better than Renault , so the Japanese wanna take back the company and yank the gaijin out for good. Nice move there Nissan. both companies are on the brink of bankruptcies before being saved by Carlos Ghosn. With Nissan being the bigger companies than Renault, yet Renault have controlling stakes in Nissan, in turn Nissan have non controlling share in Renault. If we observe on the model offering and tech, Renault have the upper hand while on the sales side, it was Nissan that have bigger market share than Renault. Never liked Nissan because of their philosophy of making cars, i.e. profit over customer’s safety. Just look at their Almera – plain ugly and seriously lack of modern safety features. Even the current generation of Peroduas and Protons fared did better.